Your interest in OpenCores is? As you know, we have lots of free IP cores here, and we�ll have more coming soon. We have to use these cores otherwise they are invaluable. For this reason the idea of designing serials and open design boards are going to be available for any designers around the world. To design schematic can deal with analog signal and transport through Ethernet. To program the necessary operation system and application software to achieve the goal. To build the prototype board. To do the test for all functions. Block Diagram design: I hope we use word 97+ for easy modify and exchange. Schematic entry: I will post schematic using PDF format. Anyone can also send me using PDF, protel99se or Cadence format. Layout design: The final layout will use Allegro or Protel99se. Board implementation: This is the final step in the design where the designer should work himself to produce his board unless we get funding or donation from PCB manufactory. 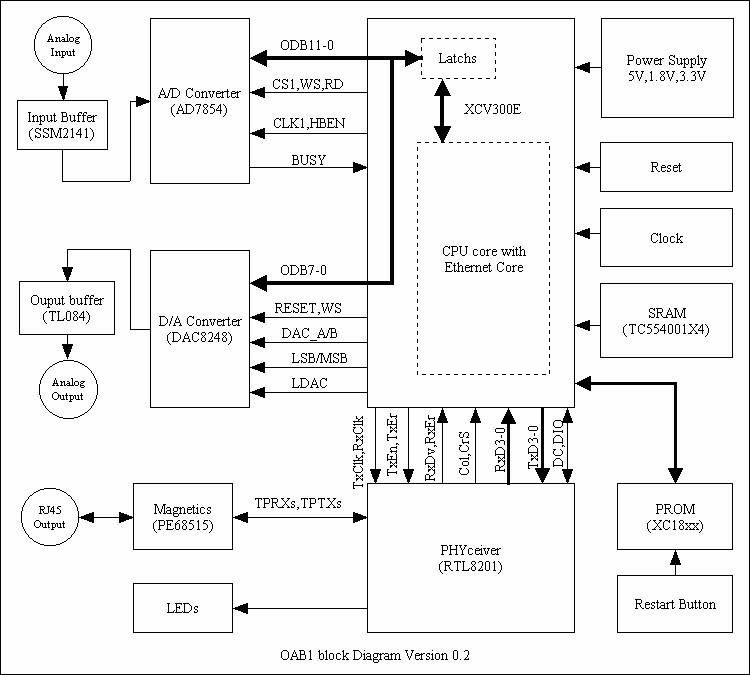 Design entry: Doesn�t matter the tools, we exchange only VHDL or Verilog codes. Simulation: I hope to use ModelSim or Active-HDL, but other tools also welcome. Synthesis: I hope to use FPGA express, but other tools also welcome. Implementation: I hope to use Xilinx FPGA. Programming Download: Using onboard parallel cable. Copyright �1999-2001 OPENCORES.ORG. All rights reserved.